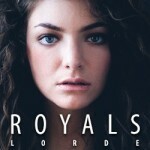 “Royals” by Lorde – racism or a critique of appropriation? On the “WTF? Hrm.” tip: Verónica Bayetti Flores at Feministing.com writes that the song “Royals” by Lorde is “racist” because of the type of wealth it opposes and protests against – the type that shows up most conspicuously in rap and Hip-Hop music and videos. There’s a certain myopia here that may be more troubling and more problematic than the Lorde song. The person who seems to be most caught on this “stereotypical portrayal of black artists” appears to be Ms. Flores herself. Nowhere does she seem to even consider that these lyrics are also a critique of artists like Justin Bieber, Mylie Cyrus, Ke$ha, Far East Movement, and others who appropriate the rap and Hip-Hop “scene” in their lyrics (many written by producers like Pharrell, Timbaland, etc.) and videos. I’d also hazard that it’s a critique not only of the music/lyrics in question, but of her teenaged peers’ fascination with these artists and their outrageously unrealistic portrayals of wealth and fame. And finally, perhaps there’s also just a plain old honest criticism of pop radio and the hooks and tropes recycled again and again by the same handful of producers (Will.I.Am, Pharrell, and friends) who have milked their talent for each and every ounce it is worth. When “EVERY song is like…” a collection of impossible to attain irresponsible over-the-top hotel trashing insanity, being middle class and not that into “being told to throw my hands up in the air” (from her other song “Team”) is a legitimate statement to make, and it’s a call-out, throw-down move to make the statement several times on one record – very much in keeping with the same kind of call-outs often heard on Hip-Hop joints. How many songs by not only Flo Rida, BEP, Ne-Yo, Beyonce, and Taio Cruz but also by Ke$ha, Mylie Cyrus, Katy Perry, Daft Punk, Nellie Furtado, and Cypress Hill call out for their listeners to “throw your hands up”? It’s legitimate to react against this music, and it’s legitimate to do so in musical form. Plenty of rock music (especially punk and metal) critiques the very things Ms. Flores mentions – bankers, polo, golf, and that sort of thing – but those songs are young voices critiquing adulthood and upper-middle-class notions of “success,” contrasted sharply against the supposed sincerity and authenticity of youth and rebellion. They’re also lyrics from the 70s and 80s, mostly. Today’s youth have a different set of examples to rail against when critiquing irresponsible attitudes toward wealth, and pop music is full of those attitudes, no matter who is singing the songs – but one type of music sung by people of many backgrounds glorifies it in particular. Finally – who does Ms. Flores think these “Royals” might be? It’s just as legitimate to say that the song is about the TV-magazine-newspaper hype surrounding William and Kate and baby George of England (New Zealand being part of the Commonwealth and all) but at the same time deftly comparing the literal royals with the “kings and queens” of pop radio. For another take on the issue, check out this article by Consequence of Sound.